40 Years ago my mother Suzie opened a boutique in Edgartown on Martha's Vineyard. It was such a success we decided to open a second location in Brookline, Ma. 20 years ago. We have been providing Brookline, Boston and Martha's Vineyard fabulous and affordable boutique clothing and unique new and vintage jewelry ever since! We strive to find the most wonderful and unusual jewelry from all over the world...India, England, France, New York, Los Angeles...modern, vintage, one of a kind. We provide our customers with an array of jewelry, accessories and fabulous clothing to fit any budget. Come in or shop us online to find the perfect gift for a friend or yourself! This boutique isn’t awesome! There’s Ian so much variety and very unique things! Plus it’s in Coolidge corner which has so many other shops and restaurants you can walk to. I will definitely be going back! 5/5! I love this store and their fabulous selection of clothing and jewelry! I used my Nift toward a beautiful kimono. I love the clothing and jewelry in the store and the staff are so friendly. I loved the store. They had really cute clothes and jewelry and everything was very reasonable. They also had a really cute dog in the store! 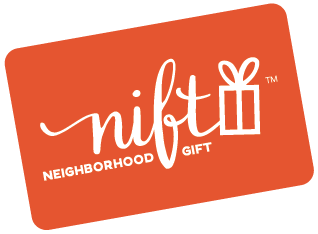 The nift gift card was very easy and fast to use. I had walked by this store many times and never entered. I'm so glad this Nift gift prompted me to check it out. I'm really happy with my purchase. Leaf Boutique has a unique and classy selection of clothing and jewelry. Great shop! Thank you so much! Fun store and good customer service. I'll be back! Cute little local store but definitely overpriced. Lovely shop with very friendly people! Nice shop with cute gifts! Leaf is a wonderful boutique with something for everyone. They have a great selection of clothing, jewelry, and handmade accessories. Nice boutique, very good selection and reasonable prices, great customer service, welkoming atmosphere Will definitely return! The store is amazing they have beautiful collection. Unique jewelry and good price. Customer service was very nice. I love this shop- great clothes and many are made in the U.S. Fun styles and not overly expensive. The young lady who waited on me was helpful and very sweet. There are some interesting pieces amongst the jewelry but for the most part it's quantity over quality. In fact, that holds true for the clothes and scarves too (quantity over quality). I prefer the more curated stock at Salmagundi in JP. Still, there are some great finds, and it's a fun place to browse for unique gifts. Most of the items are very affordable, although a necklace I loved turned out to be $920! The sales girl was very nice, but kind of slow and inattentive. Customer service was above and beyond! I wish I remembered her name because she was excellent. The service was exceptional. The lady was very nice and helpful. Thank you! Pleasant service. Pleased with my purchase. Will have my daughters visit the store! I found a bracelet that I loved which was on sale. When I went to pay the woman said that I could not combine the Nift gift with a sale. This info had not been posted anywhere nor was it on the coupon. I found a different bracelet. I had previously been to Leaf to use my Nift but was put off by not being greeted or acknowledged when I walked in and shopped even though I was the only person there for most of the time . Today there was a different employee who greeted me and was gracious. Lovely jewelry selection. Helpful customer service. Nice shop. I LOVE Leaf. I shop here constantly. What an awesome selection of clothes and accessories. I recommend to everyone. Good place. Wouldn't have gone without the gift card but glad we got to use it! It was a wonderful experience, as I am new to the neighborhood and had never been there before. The selection of apparel, accessories and small home items was lovely! Great store with unique jewelry and clothing. Lots of fun jewelry to pick from and not too expensive. Lived in the area for 5 years but never walked in. I now went in because of the Nift and really like their stuff. I will be going back. totally beautiful, unique jewelry and fashion...with an edge!! I had never heard of Leaf Boutique, but I've now added it to my list of go-to stores. Loved the clothing and staff was great too! The boutique had a great variety of clothing and accessories. They had super cute items and the staff was immensely helpful in my shopping experience. It was a great shopping experience. Excellent merchandise & Excellent help and advice regarding outfits etc. Fun Shopping. I have lived in the area for years and never visited this shop. i'll be back! Seems geared to the young, thin and trendy, but if you look there is something for everyone. I love this store! I have already told friends about it and am so glad that the coupon introduced me to such a lovely store. I will definitely go back. Leaf (formerly Vintage) has always been one of my favorite stores so it was a thrill to get this nift gift! Thanks to Michelle from Biyoshi salon for the nift card. Leaf is WONDERFUL. I'll definitely be back, I'm glad Nift gave me that little push into the store! Nice inventory. Very friendly staff. The shop was fantastic. The sales gal was very helpful. And, I wouldn't have known about it without Nift!